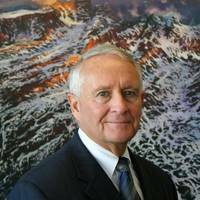 For the past few years, depressed commodity prices, stricter regulatory requirements and competition from onshore development at home and from other countries offering attractive offshore lease and royalty terms have had severe impacts on new exploration in the U.S. Gulf of Mexico. Thankfully, the tide appears to finally be turning.In August, Gulf of Mexico Lease Sale 251 drew increased competition for offerings and $178 million in high bids, $53 million more than previous sale held in March. 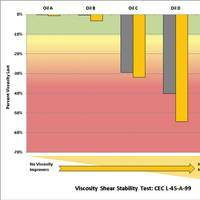 Following a technical update, the SCHOTTEL LEACON system has now been certified by classification society DNV-GL as a leak-free sealing system for the oil-to-sea interface. This optimized version has already been integrated in the ongoing production. This means that SCHOTTEL drives with LEACON can still be operated in U.S. waters without the need to use bio-oils in compliance with the current VGP from EPA. SCHOTTEL LEACON is a service-proven system and has been used in its principal function since November 2009. 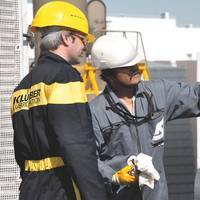 Klüber Lubrication, manufacturer of specialty lubricants, provides high-performance gear oils that are based on high-grade raw materials and advanced additives, enabling maximum efficiency in the lubrication of gear components. 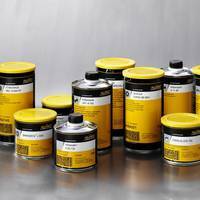 Klübersynth GEM 4 N are high-performance gear and multipurpose oils based on polyalphaolefin that provide outstanding protection against wear with resistance to micropitting, foaming, and residue formation. They are used for the lubrication of plain and rolling bearings, toothed couplings, chains, guideways, joints, spindles and pumps. RSC Bio Solutions announced that its EnviroLogic 210EP readily biodegradable gear oil has been approved for use in Thrustmaster gearboxes and thrusters. With this approval, Thrustmaster has extended its existing relationship with RSC Bio Solutions, whose sustainable technologies are approved for use by Thrustmaster in oil and gas, workboat, deep water, marine and wind construction applications. RSC Bio Solutions describes EnviroLogic 210EP as a non-sheening, readily biodegradable synthetic ISO 100 grade gear oil that offers anti-wear and extreme-pressure properties, corrosion and rust protection and system cleanliness characteristics. 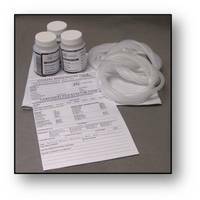 It is approved for use in a variety of industrial applications where incidental exposure of oil to the environment is of concern. Selection of gear oil for marine thrusters or a stern tube lubricant for use with propeller shaft bearings is often based on analyzing price/performance characteristics of the lubricant and its availability. Now with the implementation of the 2013 Vessel General Permit, this analysis must be expanded to include environmentally acceptable lubricants (EALs) that meet the new EPA standards. To meet environmental requirements, EALs are blended from base oils other than mineral oil. 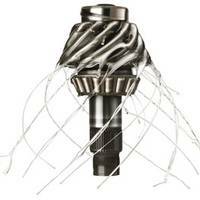 They still meet the same lubricant objective – providing long-term equipment protection. Overnight operations are certainly not unusual on America’s inland waterways, but that doesn’t make them any less hazardous. Onboard activities that seem so straightforward and customary in the light of day can take on a decidedly different feel after the sun sets and darkness envelopes the river and shrouds its banks. And, while navigational aids on the river and electronic equipment on board clearly assist nighttime vessel movements, many towboat and tug operators will tell you that fatigue, boredom and endless repetition in the sensory-deprived environment of darkness present very formidable challenges to even the most experienced rivermen. When the Environmental Protection Agency (EPA) issued the new Vessel General Permit (VGP) in December 2013, lubricant and fluid manufacturers were prepared to give vessel owners a number of environmentally acceptable lubricants (EAL) to work with. EAL usage is now essentially required for any application on vessels where incidental lubricant discharge could occur in the marine environment. 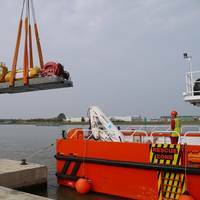 Those applications include stern tubes, thrusters, stabilizers, CPP propellers, and wire rope and mechanical equipment immersed in water during normal operation. James Fisher Renewables conducted an innovative trial of Ship-to-Turbine (STT), an oil change system set to significantly improve safety, efficiency and reduce down time in offshore wind turbine gearbox oil changes. 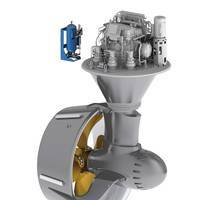 James Fisher Renewables reports that it has successfully trialed an innovative oil transfer system for the direct extraction and refill of offshore wind gearbox oils from a conventional access vessel, a trial performed on an offshore wind farm off the Norfolk coast. 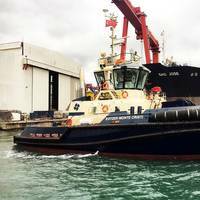 Deloach Marine Services, LLC, and A & Z Marine, LLC, announced the completion of the “M/V Z Sharon.” Z. David Deloach is the sole owner of Deloach, which provides charter towing service along the GIWW and A & Z, his shipyard located in Port Allen, LA. The vessel was originally built by Janoush Marine, Rosedale, MS, as the “FOSTI EDDIE E.” Deloach purchased the vessel in 1984, renamed it the “Bonnet Carre,” but later sold it to American Commercial Lines in 1988 who renamed it the “Donald C. Clark.” Deloach operated the vessel for ACL from 1988 to 2007, when he and his partner sold their fleet to Ingram Barge Company. He later repurchased the vessel and began a refurbishment. Deloach knows the hull as a proven and efficient design, with extreme maneuverability. Nothing stirs the maritime pot like new regulation, and coming soon to you (in less than a month) is the new iteration of the Vessel General Permit (VGP). The VGP applies to vessels operating in a capacity as a means of transportation, that have discharges incidental to their normal operations into waters subject to this permit, except recreational vessels. Unless otherwise excluded from coverage, the waters subject to this permit means “territorial seas” of the U.S. The Clean Water Act (CWA) does not require NPDES permits for vessels or other floating craft operating as a means of transportation beyond the territorial seas, such as in the contiguous zone or ocean. The Environmental Protection Agency (EPA) is issuing a replacement VGP permit under its authority from the CWA. 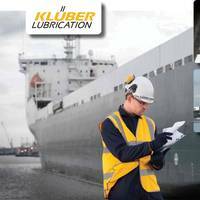 Klϋber Lubrication, a worldwide manufacturer of specialty lubricants, announces that its Klüberbio EG 2 gear oil for thrusters and Klüberbio RM 2 stern tube oil now carry the European Ecolabel, signifying compliance with the U.S. Environmental Protection Agency’s (EPA’s) 2013 Vessel General Permit (VGP). The EU Ecolabel is a label of environmental excellence that is awarded to products and services meeting high environmental standards throughout their life-cycle: from raw material extraction, to production, distribution and disposal. Klüber’s gear oils for thruster and CPP propulsion units and its stern tube oils are approved for use by leading thruster and seal system OEMs and now have independent assurance, from the EU Ecolabel Program, that the products achieve the U.S.
Bel-Ray Company, Inc. announces an agreement with Overton’s, the leading watersports dealer, in which Overton’s will distribute Bel-Ray’s performance-enhancing marine oils and lubricants. Bel-Ray’s recent launch of their line of specialty Marine Lubricants draws upon a 50+ year history of producing marine lubricants. These items have been sold worldwide to organizations ranging from the United States Navy to the largest and most prestigious manufacturers of outboard, inboard and stern drive engines. With nearly 30 years experience in producing environmentally-considerate lubricants, PANOLIN offers its VGP-compliant Greenmarine products to help owners and operators meet the imminent EPA requirements. Unlike most trying to comply with the EPA VGP, PANOLIN say that their products are not a newcomers on the market. Some of the world's largest hydraulic equipment OEMs have relied on PANOLIN products for decades. 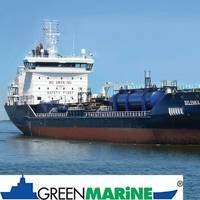 PANOLIN Greenmarine lubricants use fully saturated synthetic esters and specially developed additives to achieve 100% VGP and sVGP compliance without sacrificing performance. In any given lubricant (such as engine oil, transmission fluid or gear oil), there are three main factors that influence the “useful life” of the lubricant: Viscosity Stability, Oxidation, and Contamination. While it is important to understand how these factors affect oil life, it is equally important to realize that none of these factors can be measured or monitored except through a thorough and ongoing oil analysis program. Viscosity - First, let’s examine the oil property known as “Viscosity.” Viscosity is defined as resistance of an oil to flow at a given temperature. Whether their job is in the international transport of goods, the extraction of oil or gas, or in the cruise business – ships operating at sea or on inland waterways are exposed to high stresses. Many factors work simultaneously toward the degradation of vessel and systems, factors such as extreme cold or heat, high mechanical loads, corrosion, rising and falling temperatures, micro-movement, and the contact with salty air and sea water, all make maintenance and repair a perpetual task. ExxonMobil Marine Lubricants introduced Mobilgear SHC MT 68, a fully synthetic extreme pressure (EP) marine gear oil formulated to optimise the performance of equipment operating under extreme conditions. 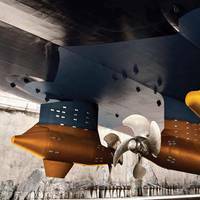 The new product resists micropitting while protecting marine thruster gear drives against conventional forms of wear and corrosion. Mobilgear SHC MT 68 was developed to meet global marketplace demand for a synthetic EP gear oil with excellent wear and corrosion protection, operability at both high and low temperatures and compatibility with industry-standard gearbox seal materials. 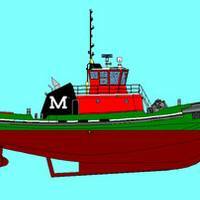 On January 4, 2011, Washburn & Doughty Associates, Inc. of East Boothbay, Maine began construction of a 93-ft by 38-ft, 6,000 hp Z-Drive tug for Moran Towing Corporation of New Canaan, Conn. Washburn & Doughty is building the vessel to its newest in-house design based upon the yard’s previous 92-ft by 32-ft design, of which there are 22 tugs in operation. The increased length and beam will allow for increased horsepower while maintaining the maneuvering characteristics and handling capabilities. There are a number of computer programs and hardware that promises to make marine vessels more productive and interactive. For example, Maxsea, Marstons Mill, Mass. has a module that connects their chart plotter to the sensors of a dredge to record the vessel's track. The track can be displayed on the chart plotter and the data collected can be directly exported in the ASC II format for use by other data processing software. The seabed outline is displayed "live" in 2-D and 3-D and the data is recorded. Need a tough bulkhead-mounted PC? Comark of Medfield, Mass. has a unit with the enclosure made of marine aluminum with an epoxy powder finish and is rated for a Nema 12 environment.